As law students and recent graduates, we are well aware of the professional development and educational value of prestigious post-law school apprenticeships. Competition is therefore intense for judicial clerkships and similar opportunities at executive branch agencies, as well as for associateships at law firms. 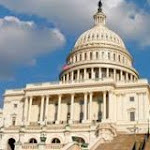 Unlike the other two branches of the federal government, however, Congress does not have a standardized, unified program created with new lawyers in mind. Individual Member and committee offices in the House and Senate hire lawyers, but they make offers out of synch with the annual fall hiring cycle used by judges, executive branch agencies, and law firms. It is challenging for new lawyers to choose Congress over the competition if Congress does not come to the table. Congress, and the country as a whole, would benefit if Congress rigorously sought out new lawyers. Legislation is central to legal practice, providing the statutory substance and foundation (in the case of regulations and judicial decisions) for most law today. The legislative process and statutory interpretation are complex, and yet in law school they receive nowhere near the emphasis placed on court process and interpretation of judicial decisions. The result is that both Congress and its statutes are often poorly understood by the legal profession today. Congress can begin to change this by creating a Congressional Clerkship Program. Interest in learning about legislation from the inside is strong among law students and recent law graduates. Each of the undersigned, and many others, want the opportunity to spend a year or two at the start of our legal careers working for Congress. We are encouraged that the U.S. House of Representatives passed legislation during the 110th and 111th Congresses authorizing a federal legislative law clerk program. The 111th Congress bill, H.R. 151, the Daniel Webster Congressional Clerkship Act, passed the House by a 381-42 bipartisan vote. A companion bill in the Senate, S. 27, did not reach the floor for a vote. The bill would have created a pilot program of 12, year-long prestigious law clerk positions, equally divided between the two chambers and between Democratic and Republican offices. The program would pay Congress’s clerks the same as U.S. district court clerks, and hire them on the same fall schedule. The annual cost of the program is estimated at one million dollars per year – less than the cost of the larger Supreme Court clerk program, and easily justified by the potential benefit to Congress and legal interpretation of the law it writes. We the undersigned, representing the future of America’s legal profession, call on our congressional representation to cosponsor and pass legislation creating a Congressional Clerkship Program. We also call on other key institutions – the judiciary, administrative agencies, law firms, advocacy organizations, and law schools – to support the initiative as an investment in a new generation of lawyers who will more fully understand the statutory law the profession practices, and the legislative process from which it originates. We are delighted to announce that on July 20, 2017, Senators Mike Lee (R-UT) and Patrick Leahy (D-VT) introduced the Daniel Webster Congressional Clerkship Act [bill number TBD; text is identical to 114th Congress bill, S. 3499]. They are joined by Senators John Hoeven (R-ND) and Ted Cruz (R-TX) as original cosponsors. Stay tuned for introduction of the House companion bill. We welcome your help rounding up additional cosponsors! Our press release with the four Senators is here. Follow us on Twitter: @CongressClerks Like us on Facebook: https://www.facebook.com/congressionalclerkshipSign the National Petition from law students and recent law gradsWrite to Congress urging your Senator or House Member to support and cosponsor the bill!Email us at CongressionalClerkship@gmail.com and Rudesill.2@osu.edu to help us round up more cosponsors! Article I of the U.S. Constitution establishes Congress as the federal government’s “first branch” and the primary author of federal law. Congress is, appropriately, also the branch most accountable to the people. Of the three branches, however, Congress is by far the least influential on the legal community’s constitutional perspective. One major reason is that Congress is the least accessible to new lawyers in their formative first years: Congress lacks a program similar to the judiciary's clerkship program, or the Honors programs at executive branch agencies. The legal community is also missing out on the opportunity to have its rising stars learn about legislation--the bread and butter of legal practice--from the inside. In contrast, the consistent flow of lawyers through apprenticeship programs in the courts and executive branch agencies has given the legal community a deep and constantly renewed grounding in judicial and administrative lawmaking. We are law students, lawyers, professors, deans, congressional staffers, and policymakers who believe that Congress and the legal community would be well served by the creation of a congressional clerkship program. We hope you will join us.